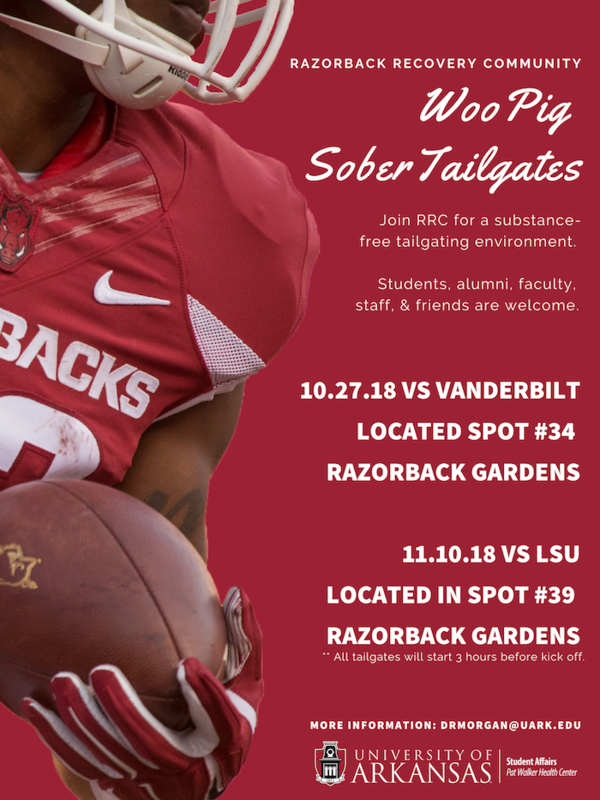 Razorback Recovery Community will host Wooo Pig Sober tailgates for the final home game of the season against the LSU Tigers. The substance-free tailgate environment begins three hours prior to kickoff and is open to the entire community. For more information, email drmorgan@uark.edu. Razorback Recovery Community offers various events and resources for students in recovery from substance abuse. The program is sponsored by the office of Substance Education and Alcohol Resources program of the Pat Walker Health Center's department of Wellness and Health Promotion.